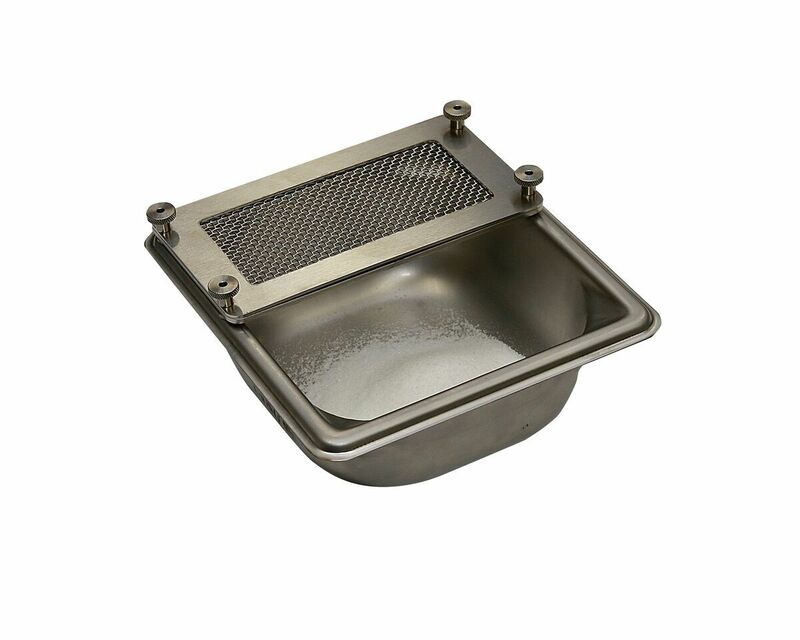 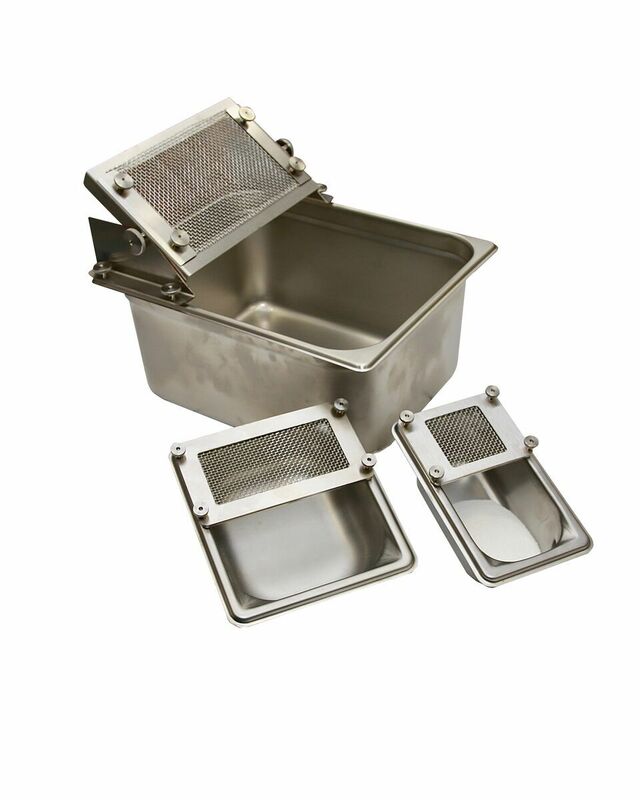 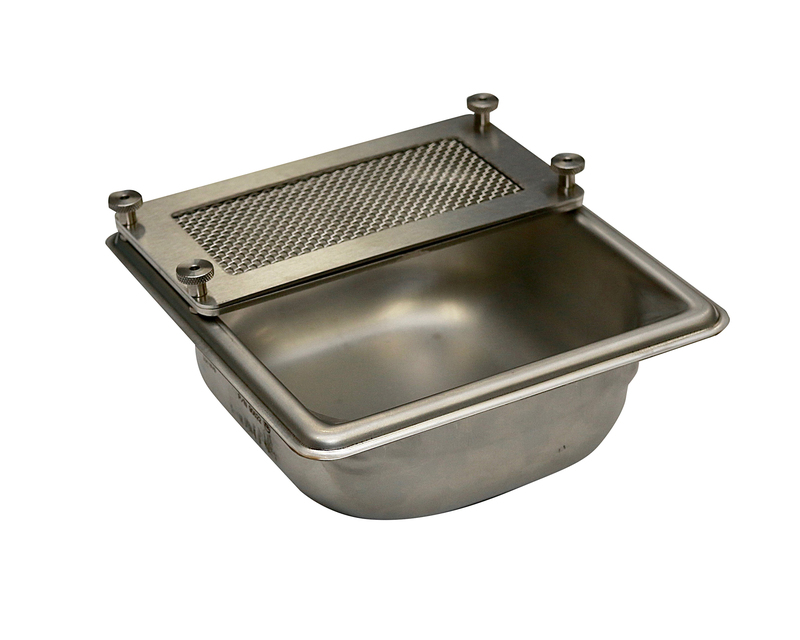 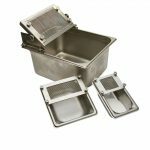 Product troughs are stainless steel pans with integral “doctoring” screens. 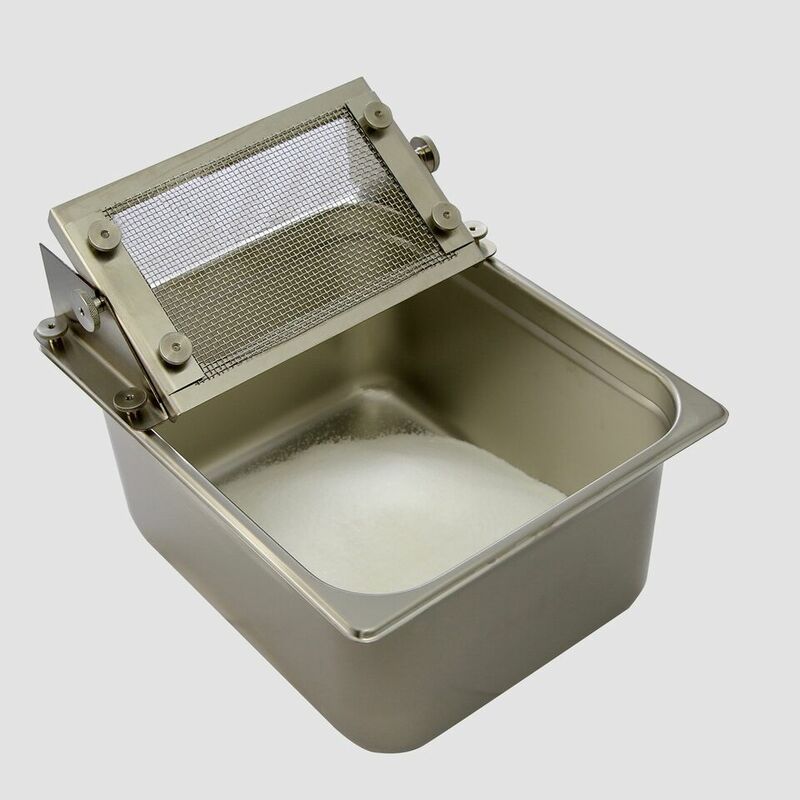 The pans hold the bulk powder during the manual filling operation. 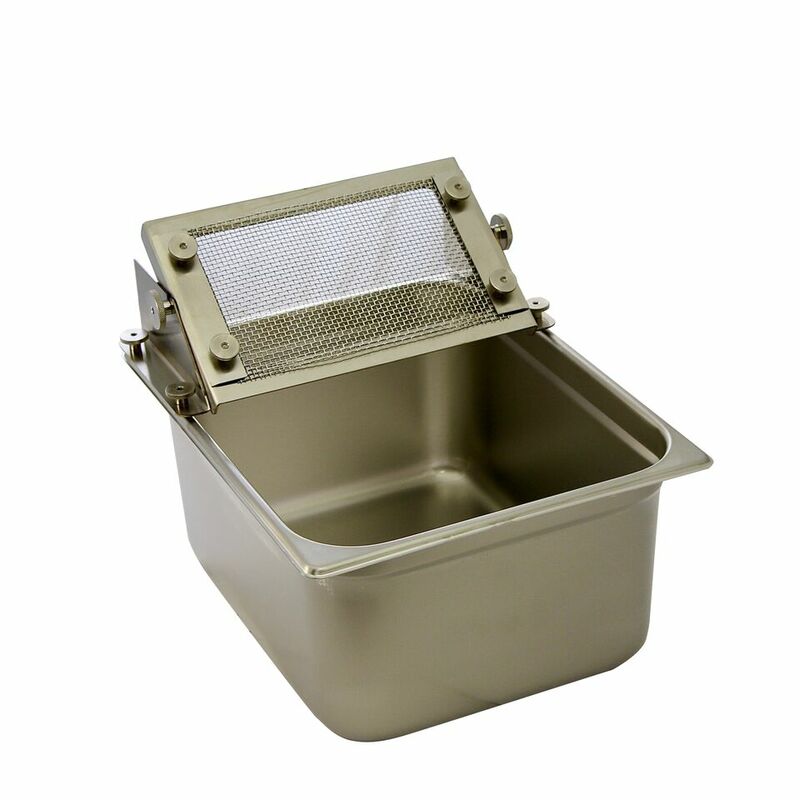 The built-in screens provide convenient means for “doctoring-off” any excess powder that normally tends to accumulate at the tip of the filling gun during the “picking” process. 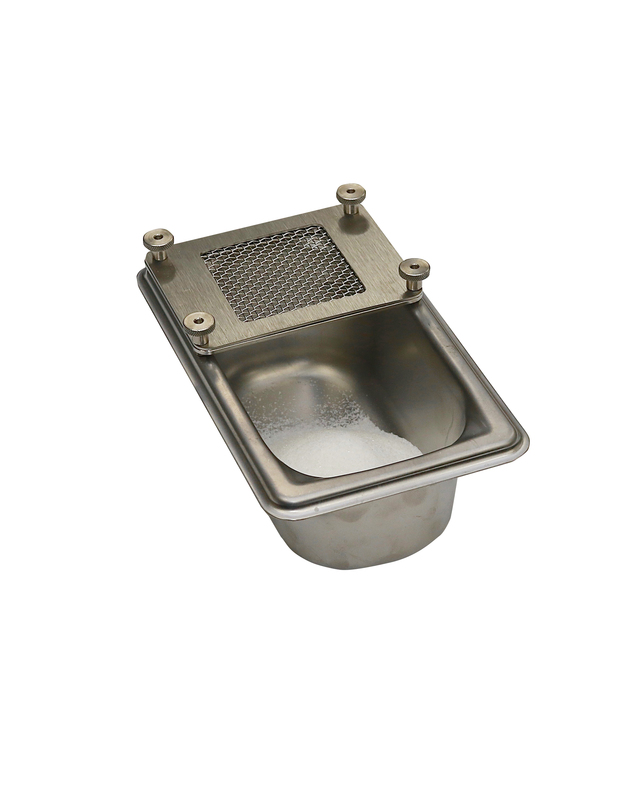 To attain good repeat accuracy of successive fills, it is important to eliminate this excess powder so that that the volume of powder in the chamber is constant from dose to dose.